When it comes to selling your St. Cloud home, kitchens get the Grand Prize for being the room that gets the most attention. But it’s increasingly possible for bathrooms to give them a run for the money. Kitchens take first place because so much of a typical St. Cloud family’s “together” time is spent there. Preparing and serving meals is, for most of us, a positive part of the day we look forward to. As a result, the quality and practical layout of a kitchen get a lot thorough going-over during showings and open houses. It’s amazing how frequently prospective buyers stop to chat with the showing agent right there in the kitchen. People just like kitchens—so having one that’s especially appealing is an indisputable plus for selling any St. Cloud home. TYPE A: This is an ordinary St. Cloud bathroom. It is run-of-the-mill; functionally adequate; perfectly okay. It should be (actually, as a practical selling-your-home matter, must be) sparkly clean, fluffy-towel laden, altogether presentable—and unmemorable. It is what prospective buyers expect and demand—and if they don’t remember anything about it, that’s perfectly okay. It won’t present a barrier to selling your home. TYPE Z: A memorable bathroom, on the other hand, can be an unexpected difference-maker. Grand, marble-emblazoned master bathrooms have always presented that possibility—but at enormous cost. Enter a new, less costly category: the “smart bathroom.” A few weeks back, The Wall Street Journal examined some of the products now emerging in what the WSJ expects within four years to become a $10 billion industry. One example is the multivalve shower controlled by Echo’s voice-activated personal assistant. When you can simply say, “Alexa, prepare my shower at 103 degrees” or “Alexa, pause the shower while I answer the phone”), it’s undeniably a memorable talking point. Likewise the new smart toilets and bidets. They can have heated seats, auto-closing lids, and Bluetooth technology to control a host of other intelligent features. Over the bathtub can be a wall-mounted waterproof TV featuring an extra-practical add-on: a floating rubber ducky remote. 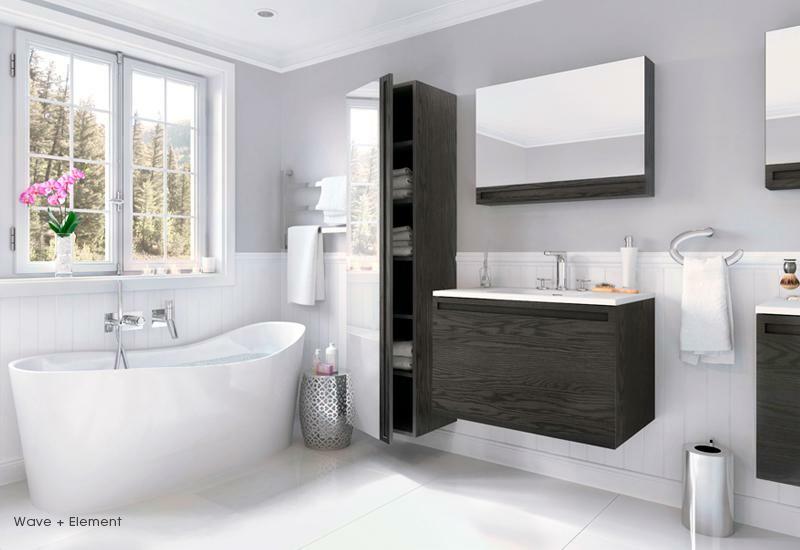 The bathroom cabinet can now be refrigerated for cold-storing cosmetics and medications. Another possibility: electric towel bars which heat terry cloth towels “to make every shower a posh spa experience”—a claim that comes closer to reality when the bathroom has one of Kohler’s PerfectFill bathtubs. These tubs plug the drain once the water reaches your specified temperature, then stop the flow at the desired depth (so no more babysitting the tub). Flashier and at the same time environmentally proactive is the Hydrao Aloe shower head. Its glowing faceplate uses color LEDs to monitor how many gallons of water you’re using in real time. Less altruistic is Kohler’s shower head with a detachable speaker that can “stream” music from any digital device. Smart bathrooms have a new capacity to intrigue and make themselves memorable. For selling your own St. Cloud home, memorability is a factor that can even determine whether a second visit (and subsequent offer) is forthcoming. I hope you’ll call me when the time nears to think about selling your own place!